Longwood is a relatively new subdivision just north of Prospect, KY off Highway 42 in Goshen, KY. These are executive homes of a higher end nature. Expect to see kitchens here with granite countertops and exquisite cabinetry coupled with appliances that a gourmet chef would love. Most all of these will have finished basements giving them total square feet in excess of 4,000. Expect to see pricing here of upper $400,000 and up. You will find that several of these homes are brand new. New custom built homes are an option here. 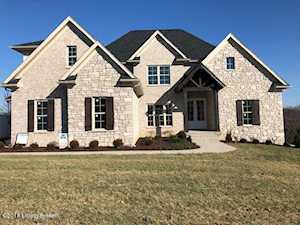 The mailing address of these homes will be Goshen, KY 40026. These homes are found in area 20 of the Louisville MLS; which are homes north of I-71 in Oldham County. The Hollinden Team updates this search for Longwood homes on a daily basis from the Louisville MLS. Feel free to use the Advance Search Tools of our Louisville MLS to find other houses for sale in Oldham County. Or, if you know the area desired, search for homes using a map with our Map Search Tools. Click the map to the left to view each home for sale in Longwood and Longwood Estates. While there feel free to click on the Satellite view in the upper right corner. Longwood is located in between Prospect and Goshen KY. Most of your shopping will be done in Prospect. It is about 5 miles to the Gene Snyder Freeway the Summit shopping center is at the second exit on Brownsboro Road. Access to I-71 is the first exit. A good many people take River Road downtown or Highway 42 on into Louisville. Oldham County Schools are well regarded throughout Kentucky and a draw for homeowners to this area. For more information visit Oldham County Public Schools website. In Longwood, young children would start out at Harmony Elementary School. Their middle school years would take them to North Oldham Middle and then North Oldham High School. If you would like to learn more or have any questions about any of these Longwood houses for sale, or others in the zip code 40026 or 40059, just click the "Request More Information" button on any property detail page. The Hollinden Team can provide you with past sale information, comparables, disclosures, PVA assessment, and tax information – we would love to answer any real estate questions you have. You can reach Real Estate Agent Tim Hollinden at 502-429-3866 for more information on these homes for sale in Longwood.